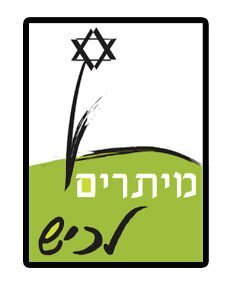 Founded in September 2007, Mechinat Meitarim Lachish is a educational, religiously, ethnically, and socio-economically pluralistic gap year leadership-training program for Israeli high school graduates. Located on Kibbutz Beit Guvrin, Moshav Eliav and Kibbutz Nahal Oz, this unique mechina combines intensive studies in Jewish identity, Zionism, Israeli society and philosophy with coursework in the arts and environmentalism, as well as independent study. Mechinat Lachish also offers courses on the Jewish peoplehood. Our students are involved in community life on the Kibbutz or Moshav and in the surrounding towns. All mechina's students regularly participate in a wide variety of volunteer service projects such as spending time with and assisting the elderly, aiding children and young adults with special needs, tutoring at an Ethiopian absorption center, and working in the fields of the kibbutz. The students’ dedication to the community inspires kibbutz members and brings positive energy to a region suffering from the hardships of living in the Israeli Periphery. The relationships between participants and their local adopted families expose both parties to an Israel they were previously unaware even existed. Through the mechina’s education program, service projects, tiyulim (touring the land of Israel), seminars of navigations and archaeological excavations, and agricultural work, Mechinat Lachish students gain useful and valuable life skills. Generally speaking, graduates of mechina programs are more academically, ideologically and physically prepared for their community or military service. They typically reach higher-ranking positions and disproportionate numbers of mechina graduates serve in frontline combat unites and enroll in officer schools. Over the course of the year-long program, mechina's students grow as individuals and as a unified group as they take on new responsibilities as Israelis, Jews and Zionists. The students play active leadership roles in managing various aspects of the mechina. They also take part in the daily life of Kibbutz. The program provides students who enter its gates with a meaningful year of personal growth and leadership development. The program aims to help participants become highly motivated, socially conscious and educated individuals with a sense of purpose and dedication to the Jewish people and the State of Israel. Mechinat Lachish has been a runaway success and is already regarded by the Ministries of Defense and Education as one of the best mechinot in the country out of nearly 40 programs. In 2010, the mechina launched its inaugural class for second year students.